More than a millennium ago, people in the Viking Age city of Haithabu dined on a dish of freeze-dried cod and tossed the bones aside. It was a relatively unremarkable meal, except for one thing. The DNA in those bones was preserved into the present day, and scientists in Norway have just sequenced it. 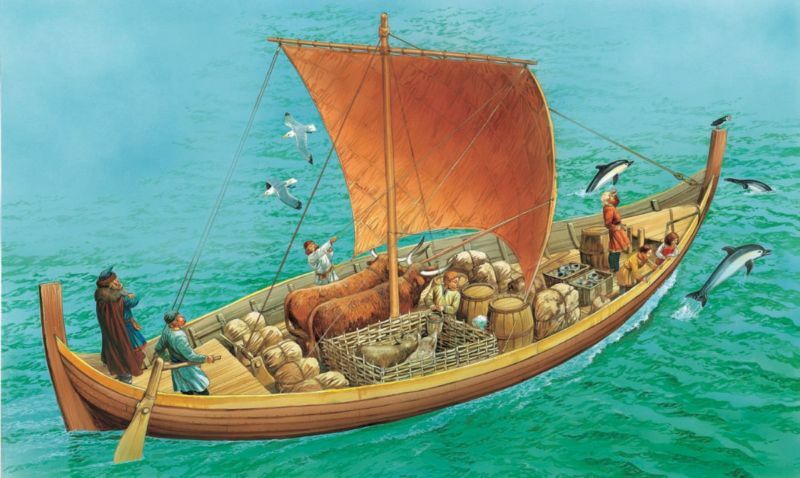 What they found has confirmed the truth of stories from the Icelandic sagas about Vikings sailing exceptionally long routes to trade with other groups. Today, the coastal city of Haithabu is an archaeological site in Germany on the Baltic Sea. But the people who munched on that dried cod roughly 1,000 years ago were living under Danish rule in a cosmopolitan port city. Haithabu was a key stop on a lively sea trade route that brought tasty treats and trinkets like walrus tusks from distant lands. Though there is ample evidence of this kind of trade 800 years ago, University of Oslo environmental biologist Bastiaan Star and his colleagues have pushed that date back at least 200 years, and possibly 400, just by sequencing cod DNA. This dramatically changes our understanding of long-distance trade in Northern Europe during the Viking Age. In Proceedings of the National Academy of Sciences, Star and his team describe how they used DNA analysis to trace the origins of 15 different cod eaten centuries ago in Germany, Norway, and the UK. The group has been studying ancient cod DNA to better understand the way humans have affected the migration routes and populations of this staple fish over time. This new discovery, however, has shed light on international trade. By comparing DNA sequences from ancient cod with modern ones, the researchers found that certain populations of fish have stuck to the same breeding grounds and migration routes for at least 1,200 years. Small mutations in the cod genome reveal which population the individual comes from, and that in turn reveals where they spawned.